A friend from church asked me if I could build a site for her. 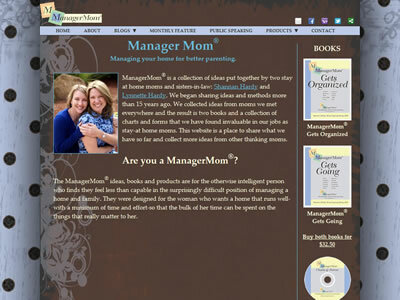 She owned managermom.net and wanted to have a few static pages. Then she said she wanted multiple streams of consciousness on a few different topics. So, I created a static site with embedded Blogger blogs. Next Post Next post: Dry.